A selection of Jason Sullivan's 4:5 ratio size architecture and man-made structures photos. 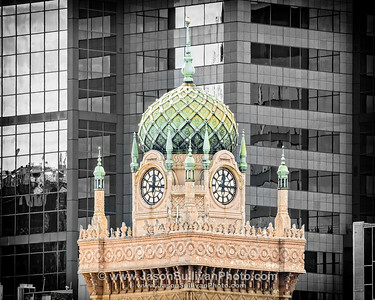 The clock tower of the Forum Theatre in Melbourne. 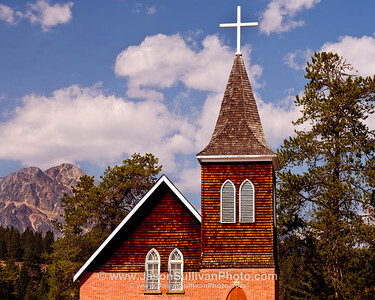 An old Jasper church with a mountain backdrop. 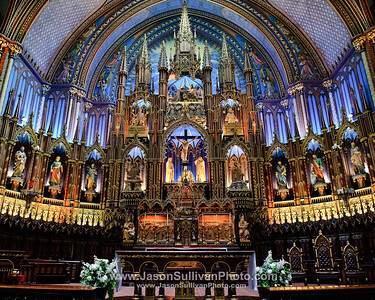 The alter inside Notre Dame Basilica in Montreal.